Are you wondering what is WordPress and what it is used for? I will try to explain it to you in this article. WordPress is a Content Management System (CMS) that powers more than 33% of all online websites (as of March 2019). It is running on PHP and needs a MySQL database to work, as well. WordPress is free – it is an open-source software. Moreover, there are thousands of themes and plugins for it. There is a plugin for almost any function you may need. To run WordPress, you will need a web hosting account. I use and recommend SiteGround for this. It is a recommended web host for WordPress by the official WP website too and is very popular between the WP users. Even if WordPress is free, there are many premium addons for it. Mainly themes and plugins. 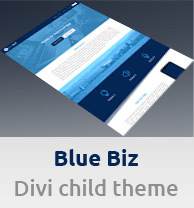 The theme that I’m using on this blog is called Divi and this whole blog is dedicated to Divi and WordPress tutorials & tips. You can also check my other article with 7 examples of websites created with the Divi theme. I tried to choose some really great websites that nicely demonstrate what is possible to create with WordPress. WordPress is really easy to use and can be used to create blogs, business websites, ecommerce websites, portfolios, forums and membership websites. For example, to create an online store (ecommerce site), you can use the free plugin called WooCommerce. It is very popular and there are many businesses using it for their shops. It also comes with hundreds of extensions. To mention something from the history of WordPress, I will say that it was founded in 2003 by Matt Mullenweg. Matt’s company that stands behind WP is called Automattic. They acquired the WooCommerce plugin, for example. And in December 2018, WordPress 5.0 was released with its new block builder called Gutenberg. However, I personally still prefer using the Divi builder instead of Gutenberg. There is both wordpress.com and wordpress.org and people sometimes confuse these two. WordPress.com handles web hosting for you (for a fee), but it is not very flexible. For example, you even cannot use premium themes like Divi with it. What most people use is a self-hosted wordpress.org solution. This way you will have total control over your website and will also own it completely. So the best way to go is to download WordPress from wordpress.org/download and install it on your hosting account. If you have decided to build your website using WordPress, you can check my tutorial on how to do it with Divi. Or I can also help you with the complete process, as I’m a WordPress designer. Feel free to email me if you would like to hire me. So will you use WordPress? Do you like it? As for me, I’m a big fan of it and have been using it since 2007 (when I bought my first laptop). I also like the WordPress community. There are thousands of people willing to help you (even for free), for example, in Facebook groups.